The way I see it, from the minute I step into that security line to the time I land at my destination (with my luggage), I feel like I am at the mercy of others, and I just don’t like it. For many people, investing for retirement can feel a lot like flying. From the minute the box is checked on the 401k contribution application (or whatever plan you use) to the day when you can hopefully safely land at your destination (retirement), that out of control feeling is there for many investors who feel like there is no other way to get from point A to point B than to endure a very turbulent trip. And the reason is quite simple as to why it is so much more difficult today than in the past to make it as individual investor. Plain and simple, you are out gunned! Some estimates show that robotic super-computers control over 70% of the daily volume of the New York Stock Exchange and that other markets are even worse in some cases. It’s almost like one of those sci-fi movies where machines take over the world. And these super-fast and powerful computers are programmed to attempt to predict market direction and are hard at work 24/7 trying to beat each other. And as an individual investor, you are forced to invest along side of these monsters and endure all of the ups and downs that they often cause. 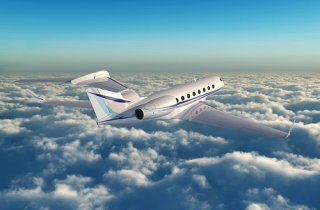 So how can you smooth out the turbulence on your flight from working and living off of your earned income to being retired and living off of your portfolio income? You simply need to harness the same super-computer technology that the big guys use to take the emotion out of the process and put you plane on auto pilot. And make no mistake, I am not referring to the buy, hold and re-balance mantra that Wall Street has been preaching for more than 23 years. Thanks to highly advanced technology, when it comes to your retirement plan, there are very powerful tools available that not only tell you where your money should be inside of your retirement plan but even when you need to make a change due to a shift in stock market direction. These tools can help you level the playing field and be able to get the results you need to arrive at your destination much more safely than anything out there.